The nation's largest carrier, Verizon Wireless, has announced on Thursday that it now covers 470 markets with its fast 4G LTE signal. That means that 250 million Americans can use Big Red's LTE service, which is said to be 10 times faster than 3G. Verizon has accomplished all this just two years after the project started. Behind Verizon is AT&T, which has 125 markets covered with its 4G LTE signal. In addition, AT&T still offers HSPA+ in a number of markets making the mobile operator the largest 4G provider in the U.S. Sprint, which just started rolling out LTE this June, is already up to 49 markets. The last of the major carriers, T-Mobile, will acquire some LTE covered territory when it closes on its purchase of pre-paid operator MetroPCS. Additionally, T-Mobile is planning to begin building its LTE pipeline starting in 2013.
well you're getting like half the speeds i'm getting in a good coverage area like Winter Springs, FL. http://i1070.photobucket.com/albums/u499/kingkurogiii/speedtest_zpsd6d5eebc.jpg it fluctuates between 35-40mbps. You guys are both right. 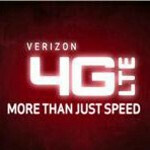 Verizon will finish its LTE rollout mid-2013, and from there it's advanced LTE. They will likely be halfway through that before any other carrier even finishes regular LTE close to Verizon's coverage. Other carriers work better for various people that is not in doubt. But, if you want coverage pretty much everywhere, big red is the way to go. I feel like the phrase "to begin building it's LTE pipeline starting in 2013" is a little bit misleading since the backhaul for T-Mobile is already prepared for LTE. It also would have been important to mention that T-Mobile will be launching a later revision of LTE than the other three carriers. Thats good for people on verizon like my sisters that have verizon , im happy with at&t . "Verizon is just so much more reliable outside of major cities, ..." That makes the difference even more stark. If you overlay the LTE coverage maps of AT&T, Sprint or T-mo on top of VZW's, the difference borders on embarrassing for the 'other guy'. Although even in the major cities where the other guys claim LTE service, the coverage is lacking compared to VZW. I'm quite happy to pay a bit more for much more reliable service. Verizon, while they have rubbed all of us the wrong way in one manner or another, is still heads and shoulders above the other three major carrier combined. I've been with them for 8 plus years now, and have no desire to go anywhere else, even without unlimited data.